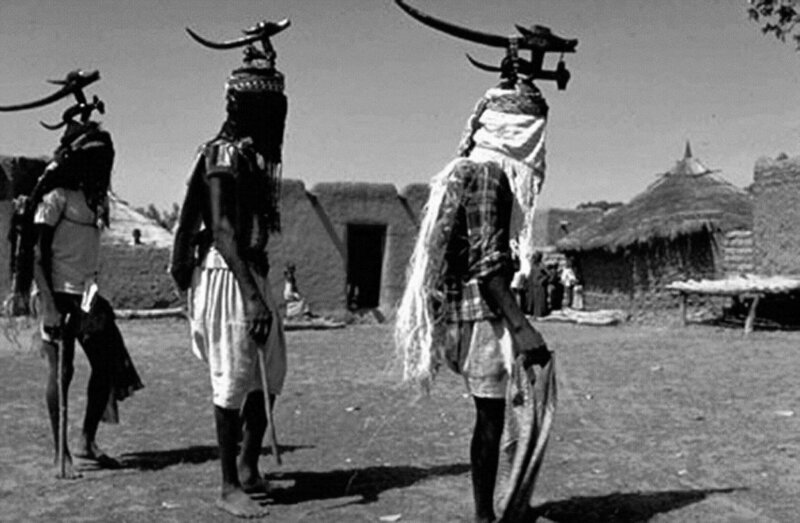 A rare type of the horizontal chi-wara: the headdress of male dancers which symbolizes the Antelope-Man who once taught people how to cultivate soil. 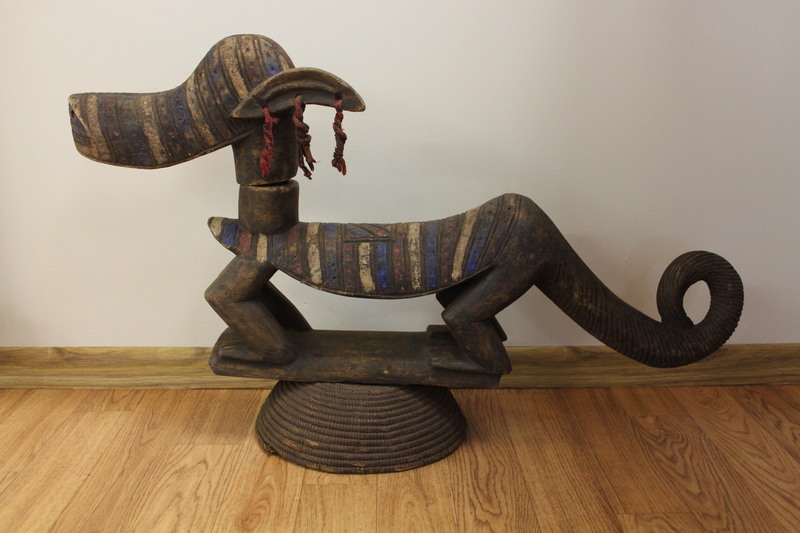 This varity of the chi-wara is characteristic for the Bamako region. 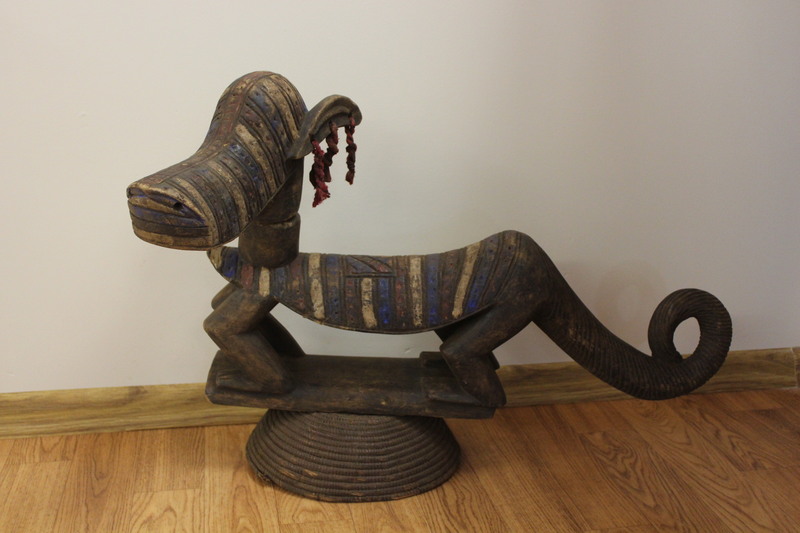 Mali, early 20th cent.